Actors Amitabh Bachchan and Aamir Khan, who are working together for the first time in "Thugs Of Hindostan", are among the nominees for the Best Actor - Male category at the Indian Film Festival of Melbourne 2017. The nominations were announced on Tuesday via a statement. 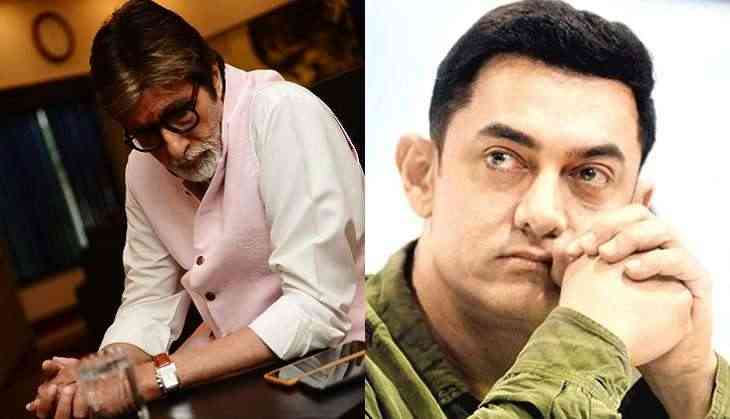 Amitabh is nominated for "Pink", while Aamir is in competition for his widely lauded blockbuster "Dangal". Other nominees in the category include Rajkummar Rao for "Trapped", Sushant Singh Rajput for "M.S. Dhoni: The Untold Story" and Lalit Bhel and Adil Hussain for "Mukti Bhawan". The Best Actor - Female nominees include Alia Bhatt for "Dear Zindagi", Vidya Balan for "Kahaani 2", Tannishtha Chatterjee for "Dr. Rakhmabai", Kavya Madhavan for "Pinneyum", Ratna Pathak and Konkona Sen Sharma for "Lipstick Under My Burkha". In the race for the Best Film, there are titles like "Pink", "Sultan", "Joker", "Ae Dil Hai Mushkil" and "M.S. Dhoni: The Untold Story". And in the In the People's Choice category, "Dangal" and "Bahubali 2: The Conclusion" is in competition. The nominated movies for Best Indie Films are "A Billion Colour Story", "Loktak Lairembee", "Mukti Bhawan", "Lipstick Under My Burkha" and "Death in the Gunj". Among those vying for the Best Director award are Nikhil Manjoo ("Reservation"), Nitesh Tiwari ("Dangal"), Vikramaditya Motwane ("Trapped"), N Padmakumar ("A Billion Colour Story"), Buddhadeb Dasgupta ("Tope"), Alankrita Shrivastava ("Lipstick Under My Burkha"), S.S. Rajamouli ("Baahubali 2 - The Conclusion") and Konkona Sen Sharma for ("A Death in the Gunj").